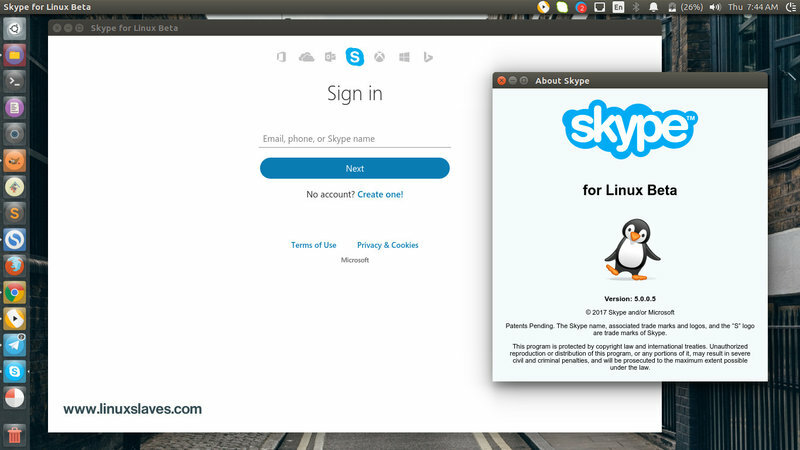 Skype Beta for Linux - Finally, the latest Skype 5.0 for Linux has been released!. Since the launch of Skype for Linux Alpha a few months ago, Skype have been focused on building a new experience that is in line with Skype's ongoing transition from peer-to-peer to a modern cloud architecture. 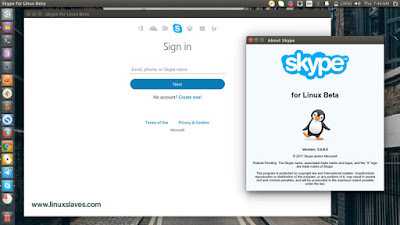 Yep, Skype for Linux now in the Beta stage! This update includes features that make it easier for you to use Skype for Linux for your everyday communications needs. They have been listening to users and added in some of your top requests. What''s New in Skype 5.0 for Linux? Calls to mobiles and landlines with Skype credit, one-to-one video calls can be made from Linux to Skype users the latest versions of Skype for Android, iOS, Windows, and Mac. Unity launcher now shows the number of unread conversations, online contacts in contact list now include Away and Do Not Disturb statuses. So that's all I can write about the step-by-step to do to install Skype 5.0 ( latest version ) in Linux : Ubuntu 16.04 Xenial Xerus, 16.10 Yakkety Yak and its derivatives such as Linux Mint and Elementary OS. Thanks for visiting us!